Eooro.com is a website that helps businesses collect and promote customer reviews, feedback and testimonials. 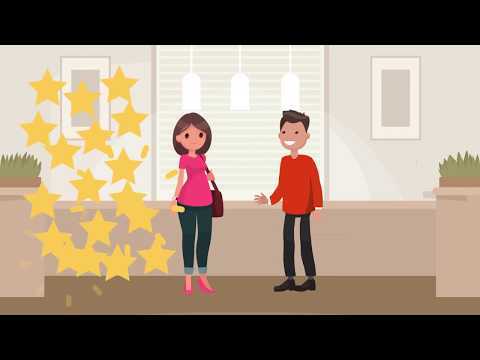 What makes Eooro different from other review services is our Review Collector App, with it installed on your smartphone or tablet reviews can be collected on the spot directly from customers. Display the reviews you collect on your website using our Review Widgets and automatically have them posted to Facebook, Twitter and LinkedIn as they are received. Eooro reviews get to Page 1 of Google within approx. 3-8 weeks, so next time one of your potential customers looks for reviews about your business, they are sure to find them. Starting at only $20 a month, Eooro gives you all the tools you need to begin collecting and promoting customer reviews. Subscription that costs between $20 and $200. Price may vary depending on commitment and so on. Eooro.com was added by eoorodotcom in Jul 2018 and the latest update was made in Jan 2019. The list of alternatives was updated Feb 2019 There is a history of all activites on Eooro.com in our Activity Log. It's possible to update the information on Eooro.com or report it as discontinued, duplicated or spam. We take trust seriously! Our goal is to create transparency and enable consumers to make smarter decisions when shopping online. Tap is an app that allows you to find nearby Refill Stations, so you never have to buy bottled water again. Alternatives to Eooro.com for Web, iPhone, iPad, Android, Windows and more. Filter by license to discover only free or Open Source alternatives. This list contains a total of 9 apps similar to Eooro.com. No reviews yet for Eooro.com, want to be first? Maybe you want to be the first to submit a comment about Eooro.com? Just click the button up to your right!